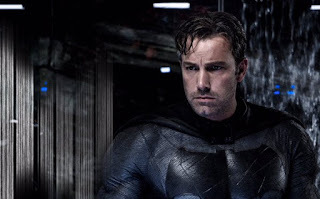 Batman v Superman: Dawn of Justice is laying the groundwork for many of the the DC Extended Universe’s characters to join forces in Justice League: Part One, but it’s also foreshadowing a potential villain. You’ll remember in the last trailer that there was a brief scene of showing what looked like a swarm of Parademons, the minions of Darkseid. The ruler of Apokolips still hasn’t been officially confirmed to appear, but now we have another hint at his involvement in the DC Extended Universe. Darkseid is one of DC's most dangerous villains. Intent on controlling the whole universe, he's on a mission to conquer all life by erasing free will, and obtaining the Anti-Life Formula. It seems like DC is setting up a Thanos-like situation, by planting hints that will later grow into bigger plotlines. Darkseid would be perfect as the villain for Justice League Part One, as his grandiose, universe-spanning plot would pull in plenty of characters to fight him, laying the groundwork for the Justice League to form. 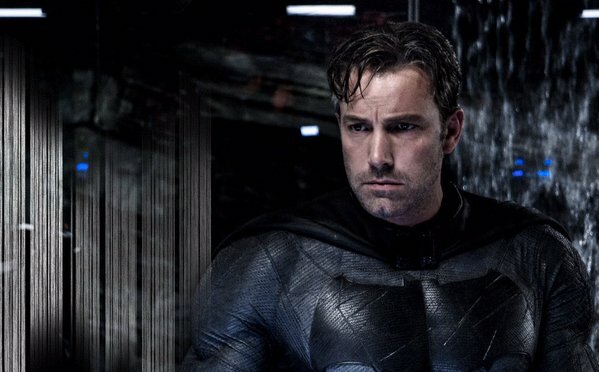 There are a lot of elements from the history of Batman and Superman in the DC Comics that are already being felt in Batman v Superman. The appearance of a possibly evil or at least alternate version of Superman is something that’s been played with a number of times in TV series and comic books, from him playing a dictator as a Justice Lord, to being raised by the all-powerful and very evil Darkseid himself in an “Elseworlds” storyline. We seem to be getting glimpses of a very different Superman in the upcoming film, but it now seems possible that Bruce Wayne’s nightmarish hallucinations might either be caused by a blast by one of Darkseid’s Omega Beams, or might take place on the villain’s Hellish home-world of Apokolips itself. In the comic arc “Final Crisis”, Batman was struck with an Omega Beam (and later teleported via an Omega Sanction) that sent him careening through time; perhaps a similar take will explain his hallucinations in Batman v Superman. Or, maybe Batman’s fight against an evil Superman’s minions and apparent Parademons (the winged creatures seen here that are in the service of Darkseid) actually takes place on Apokolips. Then again, maybe the apocalyptic vision is simply a vision after all, one that allows Zack Snyder and company to fold in other elements of the DC Comics universe without building an entire movie around them. We’ve seen it previously in Man of Steel where Superman is buried alive beneath a mountain of skulls, a scene that was quite memorable from the trailers but was only used for dramatic effect within the actual movie.